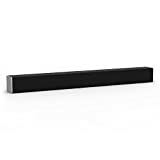 Why should you choose a TV sound bar? 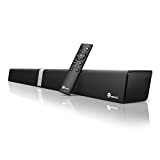 Have you ever noticed that as your TV gets slimmer, the sound quality also tends to decline? This is quite an obvious thing to happen, considering the fact that there is not much space to accommodate a powerful sound system. 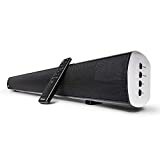 The sound in most slim TVs is fairly adequate for the regular sitcoms or reality shows, but when it comes to enjoying movies or a game of football, you may really feel there is something lacking. 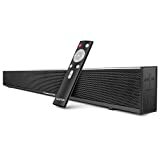 A TV sound bar is hence the most apt solution: it is easier and a less expensive add-on to your TV instead of a full-range sound system. 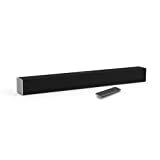 However, there are various types, and picking the best TV sound bar is an important decision. 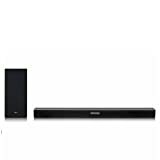 What should you consider before choosing a TV sound bar? 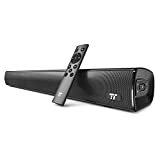 Try the sound bar: TV sound bars tend to sound different with different TVs when handling various frequencies. Also, the acoustics in your room can define the sound quality greatly. 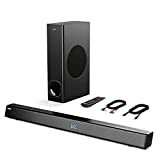 A good idea here is to ask for an audition sound bar and check it with your TV. 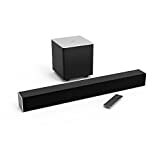 Alternatively, you can check for the return policy with the store, just in case you are not sufficiently satisfied with the quality the sound bars offer in your home or with your TV. 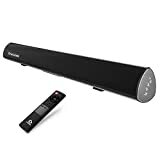 Decide on your channels: If you are only looking at enhancing the sound quality of your TV, you can find a simple sound bar with 2.1 channels. (The numbers mean that it has 2 front channels and one subwoofer.) 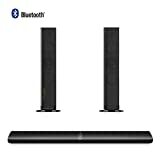 But if you are looking for a surround sound, you would need a sound bar with a subwoofer and rear speakers as well. 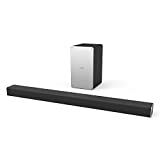 Consider where you should place the sound bar: When positioning the sound bar, make sure that you can place it in front of your TV without blocking the remote-control beam.